South Texas College has established transfer opportunities with the following institutions. Please be sure to review your specific transfer needs with the appropriate contacts. * Indicates a formal agreement between the institution and South Texas College. 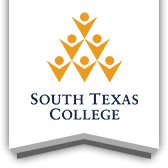 South Texas College has an articulation agreement with Concordia University in St. Paul for students receiving their A.A.S. degree in Child Development only. South Texas College and Stephen F. Austin University have an articulation agreement that allows South Texas College ADN degree earners to matriculate into the RN-to-BSN program at SFA. The links below are for general transfer information. The first agreement below is for all engineering programs offered at TAMUK. South Texas College is proud to announce a new initiative with Texas A&M University - Kingsville which will allow students to transfer into the Bachelor of Social Work at TAMUK and allow students to complete their coursework in the Valley. The first cohort is now enrolling and the first group of students will be provided bus transportation to Kingsville weekly to complete their coursework.